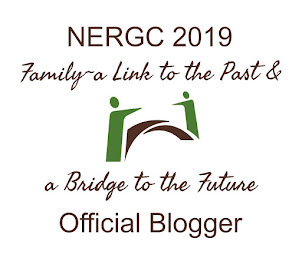 THE DEMANDING GENEALOGIST: What Makes our Work Credible? We all want to save our work for posterity, for our children and grandchildren. Many of us also want to make our research available to others to aid them in their work. Whatever our goals, without credibility, our work products will fall short of our intentions. To set the stage for the methods and results of our study, we first need to define “credibility,” the focus of our research. Simply put, credibility can be defined as believability. Credible people are believable people; credible information is believable information. In fact, some languages use the same word for these two English terms. The authors pointed out that credibility is a perception. It can be usefully evaluated as having two qualities, trustworthiness and expertise. Trustworthiness, a key element of the credibility calculus, is defined by the terms well-intentioned, truthful, unbiased, and so on. The trustworthiness dimension of credibility captures the perceived goodness or morality of the source. Expertise, the other dimension of credibility, is defined by terms such as knowledgeable, experienced, competent, and so on. The expertise dimension of credibility captures the perceived knowledge and skill of the source. Scenario 1: We pick the death record and put that date into our pedigree chart. We don’t add a footnote or source citation. We make no comment or asterisk that any other information existed. (Essentially this is what I would have done when I was a newbie genealogist back in the day.) Trustworthiness: we’ve violated trustworthiness because we haven’t been truthful about all the material we found. Should another researcher find the information we omitted, then our work will appear incompetent and incomplete. Expertise: Our lack of a footnote will make our work appear inexperienced. Outcome: Dropping the conflicting evidence leads to poor credibility. Scenario 2: We place the death certificate date in the pedigree chart. We include a footnote that cites the death certificate. In the footnote we make a comment that the tombstone has a different date. We explain why we didn’t pick that date and went, instead, with the date on the certificate signed by the medical doctor who attended the deceased. Trustworthiness: We have shown that we can be trusted to present everything we find and that we make choices among conflicting information using thoughtful, analytic (and thus unbiased) reasons. Expertise: Our footnote shows that we have the proper skill set to do reliable genealogical work. Our explanation of why we picked one date shows that we can weigh and balance evidence. Outcome: We have produced a credible pedigree chart. We have the power to create credible work products by demonstrating trustworthiness and expertise. What a delight to have a way in which to evaluate credibility. B.J. Fogg, Jonathan Marshall, Othman Laraki, Alex Osipovich, Chris Varma, Nicholas Fang, Jyoti Paul, Akshay Rangnekar, John Shon, Preet Swani, and Marissa Treinen, “What Makes Web Sites Credible? A Report on a Large Quantitative Study,” Proceedings of the SIGCHI Conference on Human Factors in Computing Sciences (New York City: Association for Computing Machinery, 2001), vol. 3 (31 March-5 April):61. B.J. Fogg, Jonathan Marshall, Othman Laraki, Alex Osipovich, Chris Varma, Nicholas Fang, Jyoti Paul, Akshay Rangnekar, John Shon, Preet Swani, and Marissa Treinen, “What Makes Web Sites Credible? A Report on a Large Quantitative Study,” Proceedings of the SIGCHI Conference on Human Factors in Computing Sciences (New York City: Association for Computing Machinery, 2001), vol. 3 (31 March-5 April):62. Great story and a motto for all of us.